In a large skillet over med. 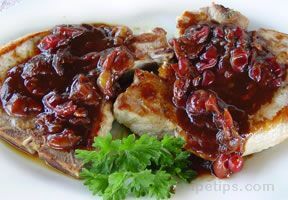 heat, brown chops in oil for 5 to 6 mins on each side. Remove and keep warm. In the drippings, sauté the onion and mushrooms until tender. Stir the water, mustard and salt; bring to a boil. return chops to pan. 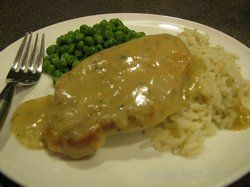 Reduce heat; cover and simmer for 15 to 20 mins or until pork is tender. Remove chops and keep warm. Combine flour and sour cream until smooth; add to the skillet. Bring to a boil; cook and stir for 1 to 2 mins. or until slightly thickened. 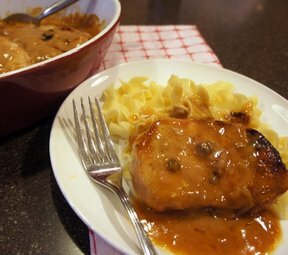 Serve pork chops and sauce with hot buttered noodles.